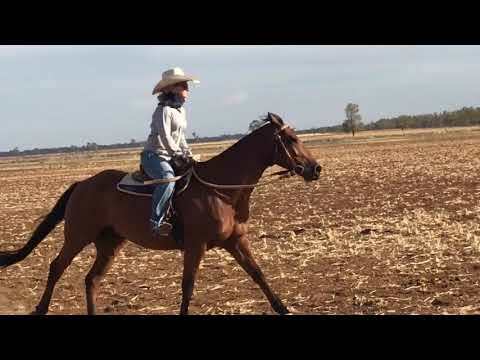 Q-77420 Desires Hot Rex is a very quiet 6yo gelding. "Rex" has had extensive stock work including 16mths in a feedlot. Good to rug, shoe, float, and be around. Can be ridden by the whole family. Ready to go out and campdraft competitively.